VietNamNet Bridge - In recent years, raising trionychid turtles (Tryonyx steinachderi) has boomed in Van Hung Village, Cat Thinh Commune, Van Chan District in Yen Bai province, bringing many households a profit of nearly VND1 billion ($50,000) each year. 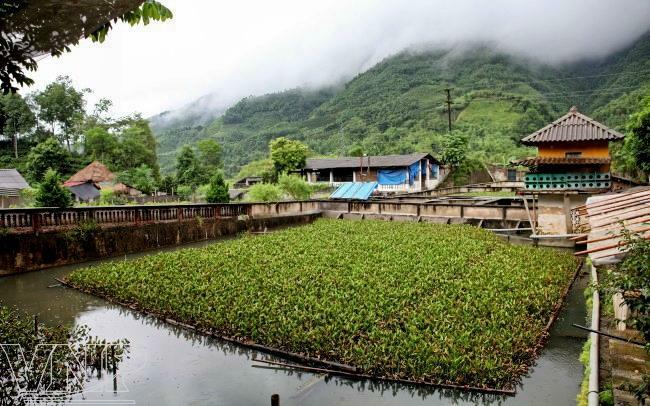 Following Highway 32 from Yen Bai City to Van Chan District through a stretch of Pha Stream that runs at the foot of Ach Pass, people are amazed by many small square ponds built in close proximity to one another along the hillsides. 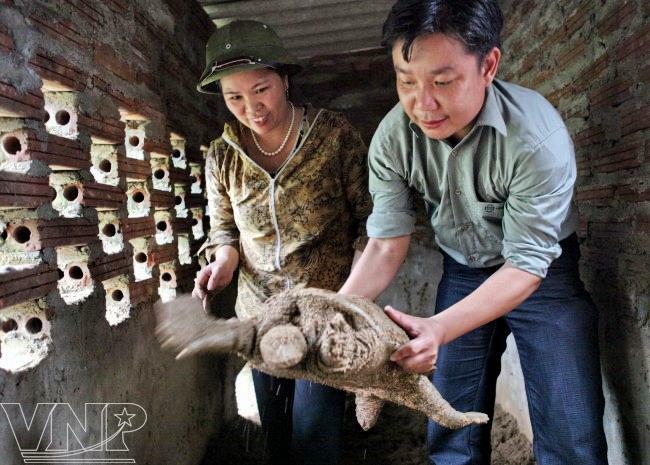 They are the trionychid turtle farms of the villagers in Van Hung. Van Hung Village is located at the foot of Ach Pass. It boasts beautiful scenery, but lacks fertile land for agricultural cultivation. 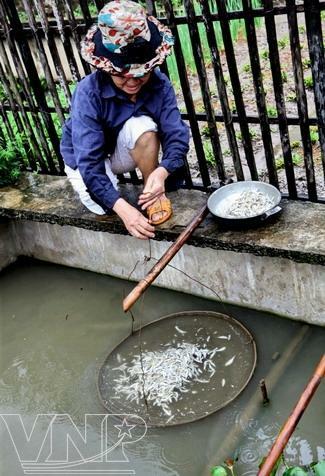 Therefore, the villagers managed to earn their livings and escape poverty by doing different trades, such as making arrowroot vermicelli, raising pigs and planting tea and orange trees. However, due to the harsh natural conditions together with a shortage of scientific knowledge, these trades did not bring in very much money. Only until the villagers began raising trionychid turtles did the living standards in Van Hung increase. According to Doan Vu Tuan, a villager, at the end of 1999 Tran Nam Huan and Doan Vu Sang, two locals went to Pha and Lao Streams to catch trionychid turtles for food and they raised some in their ponds. Unexpectedly, the trionychid turtles multiplied and grew rapidly so Huan and Sang decided to raise the species as a trial test. Gradually, many other villagers followed them in raising trionychid turtles on a small-scale. Since 2006, the locals have been raising trionychid turtles according to the current farm model and now many of them are raising thousands of trionychid turtles. The trade brings a high income to the locals, about 1-2 billion dongs/year at its peak. Besides raising commercial trionychid turtles for meat, the locals also focus on raising breeding trionychid turtles to provide to other provinces. 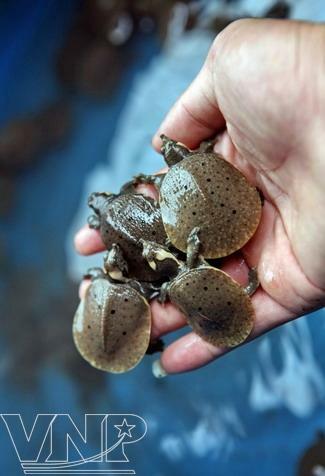 It is estimated that with the current price of 500,000VND/each, every household raising 1,000 breeding trionychid turtles will earn about 500 million dongs. In 2011, when trionychid turtles were sold at the price of 800,000VND/ each, some households earned nearly one billion dongs. 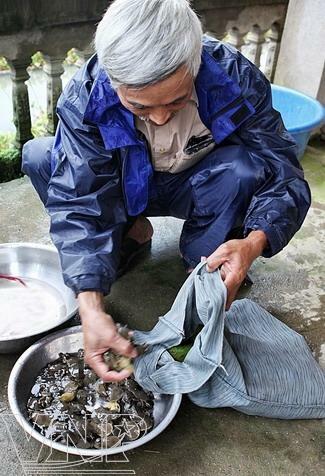 The family of Doan Vu Tuan is one of the households in Van Hung raising the largest number of trionychid turtles. 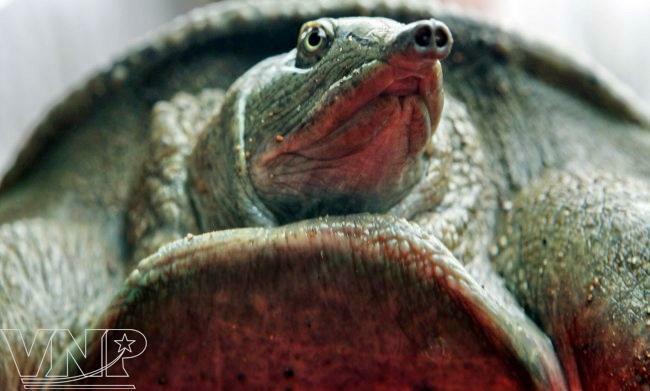 His farm covers over 1,500m2 with hundreds of trionychid turtles at reproductive age. Each year his family earns about 600-800 million dongs from selling breeding trionychid turtles. Tuan said: “Raising trionychid turtles really helps locals in Van Hung escape poverty and many households become well-off. 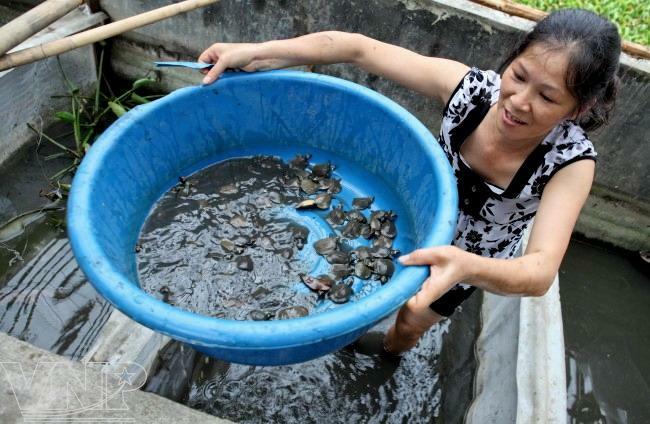 Seeing high economic value from the trade, Van Chan District’s authority devised prioritized policies to encourage and promote the movement on raising trionychid turtles, organize training courses and support farmers from the capital sources of the Bank of Agriculture and the Bank of Society Policy. The locals also help each other in terms of technique and experience to develop the trade. For this reason, Van Hung has quickly become an area specializing in breeding trionychid turtles with about 100 households involved. However, it has not met the increasing demand of customers from the provinces of Hung Yen, Hai Duong and Hai Phong. 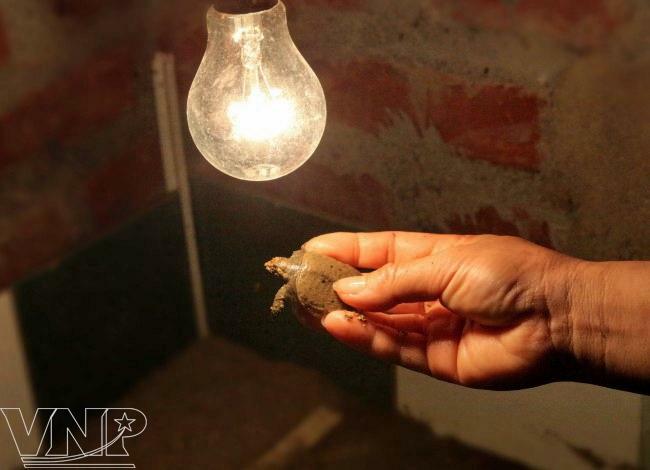 Thanks to raising trionychid turtles, the poor countryside of Van Hung has seen great changes and the living standards of local people have much improved. ...and brooded at a suitable temperature. Checking newly-born turtles before releasing them into ponds. 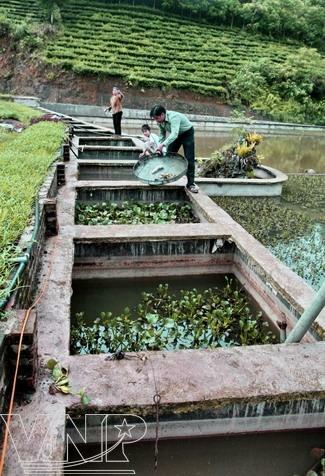 A turtle raising pond is covered by water hyacinth. A turtle raising model is invested in and expanded in Van Chan District, Yen Bai Province. Thinly chopped fish is the main food of trionychid turtles. The turtles are tendered carefully. Breeding turtles, 4 weeks old, are ready for sale. 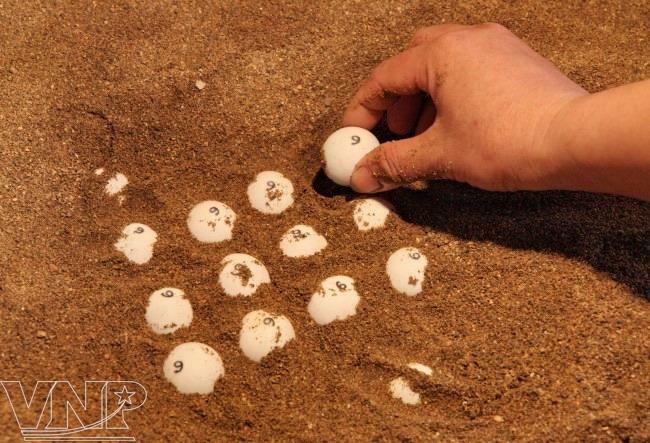 Choosing the best quality breeding turtles . On average, a trionychid turtle mother weights about 5-7kg.